Get ready to kick some butts this March 20! We’re not talking about beating people up — we want you to kick those cigarette butts to the curb. National Kick Butts Day is a day of anti-smoking activism. Teachers, kids, youth leaders, and health advocates all participate! They come together and organize events that raise awareness of the problem of tobacco use in their communities, encourage kids to stay tobacco-free, and try to get anti-tobacco legislation passed. The day is organized by The Campaign for Tobacco-Free Kids, and it was first held in 1996. Get ready to kick some butts and take some names! National Kick Butts Day has a list of preset activities you can organize with your neighborhood or group of friends. Each activity has estimates of both cost and prep time. And, because we know you like easy, the ones that take the least amount of effort are all marked. There’s no excuse not to participate. One of the goals of this holiday is that people kick butts every day. This means that you don’t have to just organize events on the day itself! Some of these events are easy to organize any day — like signing a pledge to kick tobacco or organizing a game of educational jeopardy. Keep on fighting the good fight! National Kick Butts Day is all about those kids. If you want to truly honor the spirit of the holiday, you have to talk to your children about what can happen if they start to smoke. Try to make it fun; no kid likes a lecture. If you ask us, any excuse to talk about smoking is a good one. According to the CDC, “tobacco use remains the single largest preventable cause of death and disease in the United States.” Say it again for the folks in the back! About 480,000 Americans die every year from smoking, and National Kick Butts Day is helping to decrease these numbers. Give them a round of applause! National Kick Butts Day is so important because it targets a vulnerable segment of our population. While all smoking-related deaths need to be prevented, it’s particularly important to protect children. With all the peer pressure that exists, children need to learn from the get-go that smoking is not cool. Smoking is not fun; it’s going to lead to long-term damage for their lungs. National Kick Butts Day is educating children on the evils of smoking before they even start. 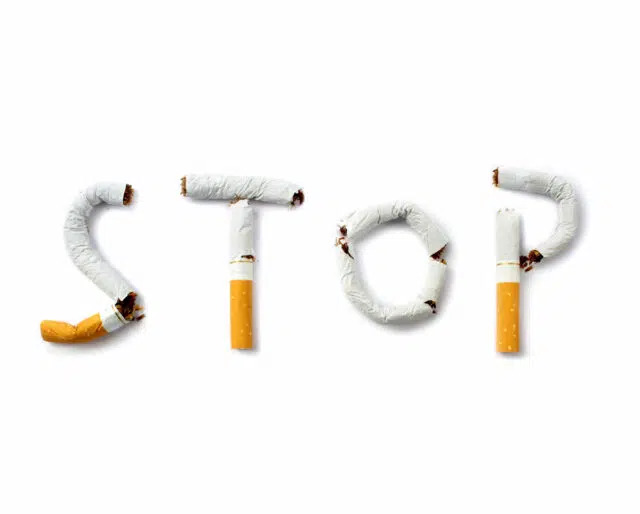 National Kick Butts Day encourages people to organize anti-smoking events in their community. That gives everyone in the neighborhood an opportunity to come together and support a great cause. Attend a National Kick Butts Day event and you can meet that neighbor you’ve always seen but never talked to! What a great way to make friends while supporting a worthy cause.